Making your own tall tees online has never been easier! Try our best-in-class online t-shirt designer and create something amazing today. 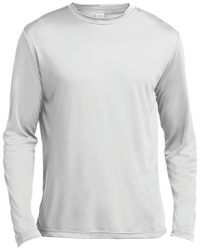 We have tons of tall t-shirt styles, sizes, materials, and colors, all from highly regarded brands in the industry, from Gildan to Sport-Tek. The whole process is easy: (1) pick your favorite t-shirt, (2) create or upload your custom design, and (3) order as many custom tall t-shirts as you want. We’ll ship them to you fast and for free!